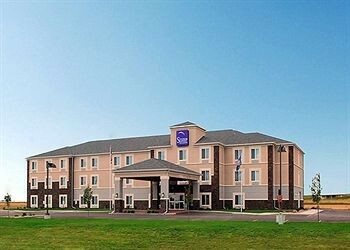 Property Location A stay at Sleep Inn & Suites Oakley places you in the heart of Oakley and within the vicinity of Buffalo Bill Cultural Center.Rooms Make yourself at home in one of the 62 air-conditioned guestrooms. Complimentary wireless Internet access keeps you connected, and cable programming is available for your entertainment. Conveniences include coffee/tea makers and irons/ironing boards.Rec, Spa, Premium Amenities Take advantage of recreational opportunities offered, including an indoor pool, a spa tub, and a fitness center.Dining A complimentary buffet breakfast is included.Business, Other Amenities Featured amenities include a business center, laundry facilities, and a safe deposit box at the front desk.